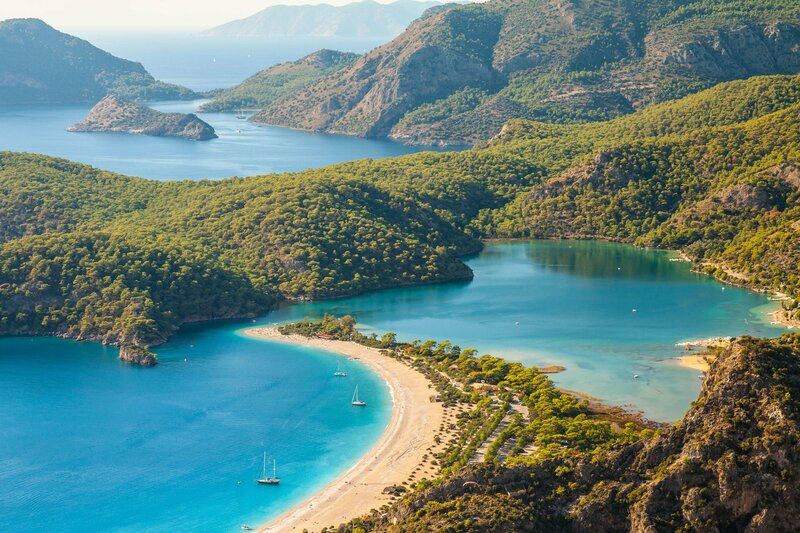 The mild climate, the short distances and the crystal blue waters makes the Turkish Riviera, also known as the Turquoise Coast, a paradise for people who enjoy discovering a place by sea. 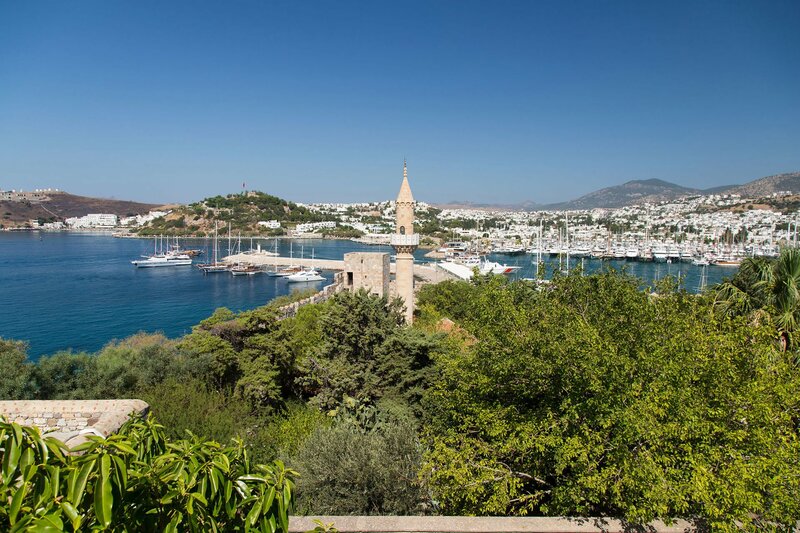 With a number of archaeological sites a short drive away from the coast, a cruise along the Turkish coast allows you to immerse in a journey back in time. The scenery here is magnificent, yet calm and serene: sandy beaches fringed by pine forests, orange orchards, olive groves. The air is so fragrant, full of mesmerising smells. 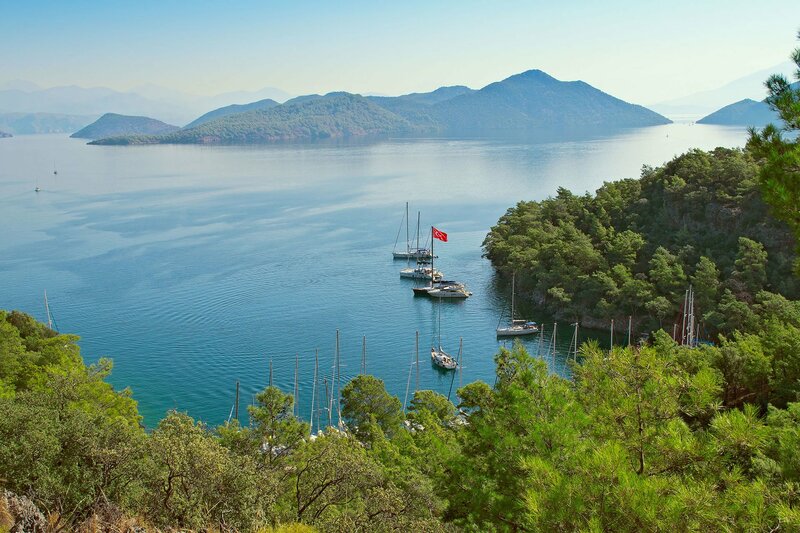 You will relax under the sun and you will swim in azure waters in hidden away coves. Snorkeling here is an amazing experience that you will never forget. If you are lucky and the currents favour you, you may spot dolphins welcoming you to this beautiful land. You will enjoy the hospitality of the locals and you will be blown away by the local, fabulous food. The flavours, the tastes, the lightness of the dishes will whet your appetite. 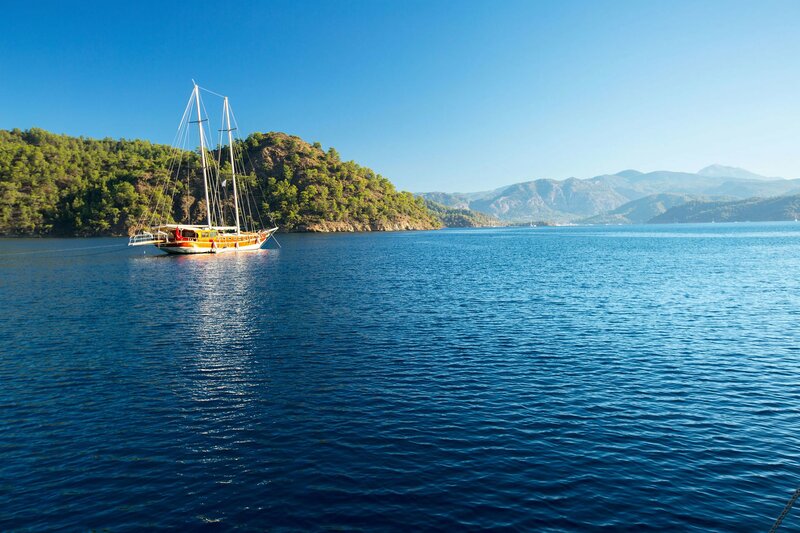 A cruise along the Turkish coast aboard one of our crewed yacht charters has all the ingredients for an unforgettable vacation. Depending on your time and preferences, you can plan your route and decide on the kind of holiday you wish to enjoy. Sailing a sailboat or a catamaran or cruising on a luxury cruiser will offer you the opportunity to discover this exciting land where the east meets the west!